Looking back at ICORIA 2014 and a welcome note from the new president. The University of Amsterdam hosted EAA's 13th annual International Conference on Research in Advertising (ICORIA), from June 26 to June 28, 2014. For the first time a doctoral colloquium was organized prior to the conference, with the aim to provide PhD students with professional skills for their academic career. A selection of renowned researchers provided interactive lectures and workshops on various topics. This colloquium was highly valued by the doctoral students. ICORIA2014 kicked-off with an illuminating keynote speech by Prof. Dr. Mark Deuze of the University of Amsterdam about the way we live within media. The 2014 edition broke several records in the history of ICORIA: over a 100 papers were presented, and around 150 participants attended the conference, coming from diverse countries from nearly all continents, including Europe, North-America, Asia, and Australia. Thus the attendees of ICORIA became a real international community. This year awards were won by Stefan Bernritter (Best Student Paper Award), Vesna Žabkar (Best Paper Award), and Jiska Eelen (Best Paper Award). ICORIA2014 was not just intellectually stimulating, but also socially inspiring. The organizing committee would like to thank all attendees for their presence, contributions, and lively presentations. You made ICORIA2014 an inspiring and joyful experience. Take a look at the conference photo gallery to enjoy the atmosphere of ICORIA 2014. The organizing committee: Edith Smit, Peter Neijens, Peeter Verlegh, Guda van Noort, Eva van Reijmersdal, and Hilde Voorveld. I am truly honored and humbled for this opportunity to serve as new President of the EAA. This position is both exciting and challenging. I will appreciate any comments, suggestions, and constructive criticisms as I attempt to learn the ropes. Our outgoing President, Edith Smit, deserves an enormous thank you for her tireless devotion to the EAA. Without her excellent leadership, the EAA would not have been the same. One of my first efforts is to make sure that the EAA continues its growth path by expanding and deepening our presence in the world. While the EAA's membership is broad and loyal, we hope our global network can be strengthened through strategic alliances with different partners. As your incoming President, I look forward to serving the EAA and its membership. I look forward to addressing whatever issues or obstacles that will confront us in the next two years. 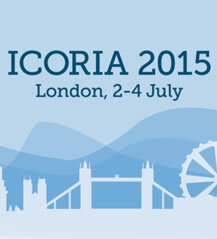 I hope to see you again at the 14th ICORIA in London, 2015. 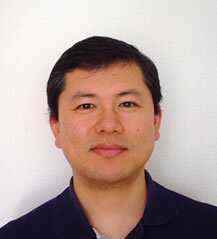 At the general assembly of the 13th ICORIA, which was held on June 28, 2014, Shintaro Okazaki has taken over Edith Smit's function as EAA President. There are also several other changes in the functions of the board members, and Hilde Voorveld is a new member of the EAA board. The delegates confirmed all board members by their voting. Thus, the EAA board is constituted as follows: Shintaro Okazaki (President), Patrick de Pelsmacker (President-Elect), Sandra Diehl (Treasurer), Martin Eisend (Publications), Hilde Voorveld (Information Manager), Tobias Langner (Awards), Robert Heath (Next conference), Sara Rosengren (PhD Program). Edith Smit (Past President) Ralf Terlutter (Past President), Peter Neijens (Past President). The 14th International Conference on Research in Advertising 2015 will be held in London, UK, one of the most exciting cities in the world. The conference theme "Bridging the Gap" embodies the need for closer collaboration between advertising academia and practice. Around 150 papers on various topics related to advertising and brand communication will be presented during the two days of the conference: July 3rd and 4th, 2015. The 2nd Doctoral Colloquium, followed by a welcome reception, will be held on July 2nd. The conference will take place on the campus of the Birkbeck, University of London. A gala dinner is scheduled on Friday, as well as a sight-seeing tour of London on Saturday, following the last sessions of the conference. The conference fee for registration before May 20, 2015 is € 375 which includes admission to all sessions, lunches, and refreshments, the welcome reception, the gala dinner, the sightseeing tour, the conference proceedings and the € 25 annual membership fee of the European Advertising Academy (EAA). The conference fee for registration after May 20, 2015 is € 450. Please submit a five page summary of your paper as soon as possible (but no later than March 15, 2015) to: papers@icoria.org. Full information can be found here. We look forward to welcoming you to London in 2015! Advances in Advertising Research (Vol. V): Extending the Boundaries of Advertising will be distributed to the authors in the coming month. The fifth volume of Advances in Advertising Research summarizes insights from the 12th ICORIA in Zagreb in 23 state-of-the-art research articles. For this Volume, Ivana Buŝljeta Banks, Patrick De Pelsmacker, and Shintaro Okazaki served as editors. The Advances in Advertising Research-book series is published by Springer Gabler. 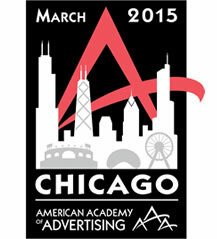 You are invited to submit Competitive Research Papers relevant to any aspect of advertising (theoretical, methodological, empirical, or philosophical) in consideration for presentation at the 2015 American Academy of Advertising (AAA) Conference and for publication in the AAA Conference Proceedings. The submission deadline is October 3, 2014 and more information can be found here. The EAA Board member, Martin Eisend (European University Viadrina) will guest edit a special issue of the Journal of Advertising on 'Re-inquiries in Advertising Research'. Special issue co-editors are George R. Franke (University of Alabama) and James H. Leigh (Texas A&M University). Papers should be submitted before December 31, 2014. For further information please download the Call for Papers from the JA website. The School of Journalism and Media Studies at San Diego State University invites applications for a full-time, two-year, visiting faculty position in advertising/branded digital communications (non-tenure-track), at the level of assistant professor or lecturer, to start August 2015. You can find further information and a full job description here in the pdf on the EAA-site. The Business School Queensland University (Australia) had two vacancies: a postdoc position and a vacancy at the senior lecturer level for a researcher in advertising or marketing.